This building has large sheets of stainless steel shielding its huge windows from the bright sunlight. 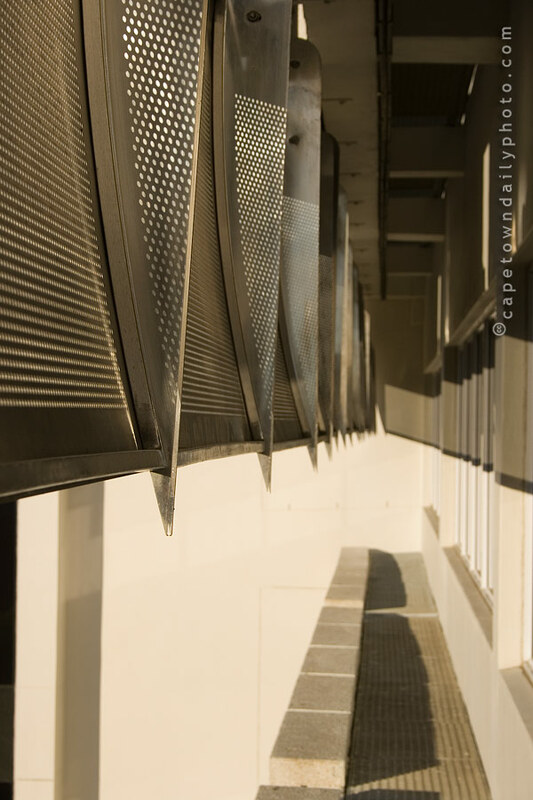 Fairly redundant in winter months, they're very useful in the summer months to help regulate the temperature inside the building, thereby reducing the energy consumed by the central air conditioning system. Posted in General on Friday, 16 May, 2008 by Paul.